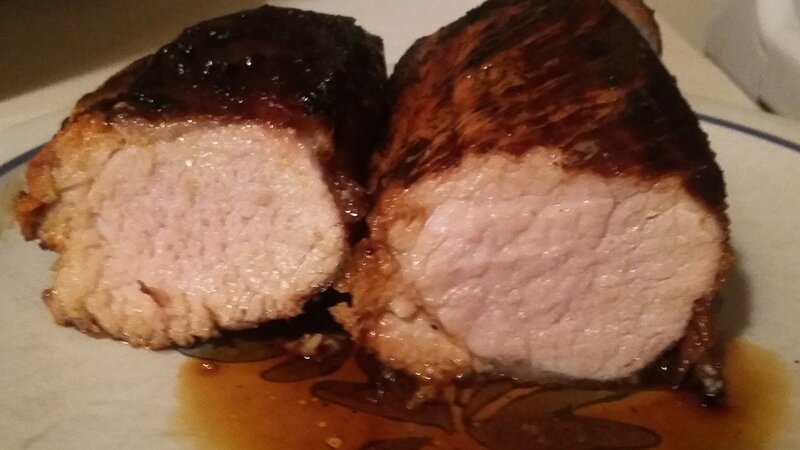 Our Hatfield Texas smokehouse pork loin review will take you through the grilling process of this pre-seasoned pork loin and give you our honest opinion of the product. This is our first review of a food product that was made for grilling. Hatfield pork products are available throughout the northeastern US. 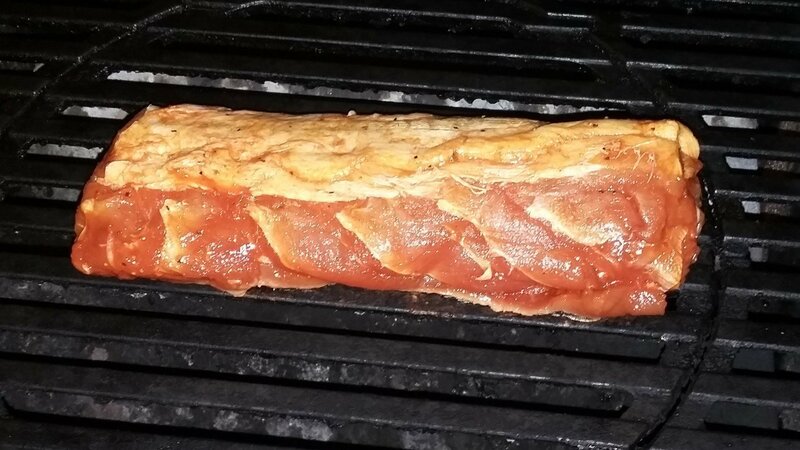 The Texas Smokehouse Dry Rub Seasoned Pork Loin Filet is just one of many pre-seasoned pork loins that Hatfield has available. The loin we have is just about 1.25 pounds and at 3.99 a pound cost a little over $5. When we first removed it from the package we were surprised at just how dry it was. There was barely any excess liquid in the package which means no money wasted. 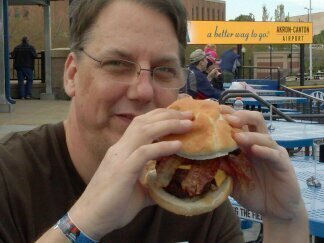 What I noticed about the pork was the fat cap. I was working under the assumption that this was a tenderloin based on the size. Technically they refer to this as a pork loin filet. What that is I don’t know for sure but it is definitely part of a pork loin from the looks of it. Before we take it out to the grill I wipe off any excess rub with a paper towel. 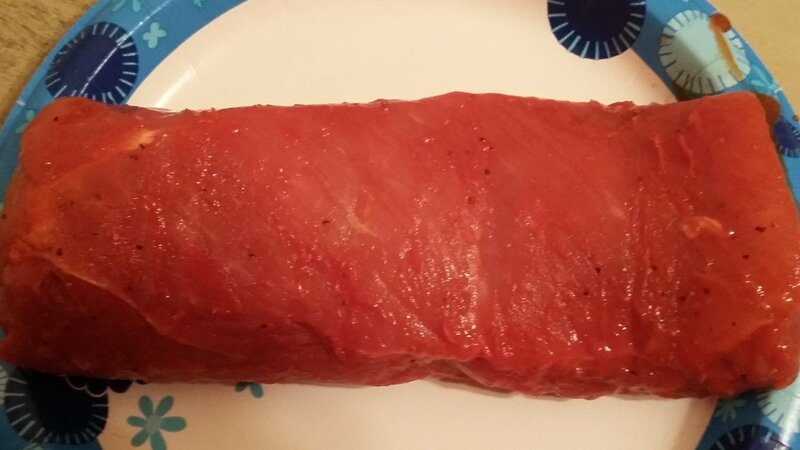 Not a lot came off and the loin remained the beautiful red color. With the grill already preheated to a medium high heat I place the pork between the two burners. The instructions call for 10 to 15 minutes per side so after I snap a few pics I ask Google to set a timer for 10 minutes and close the lid. 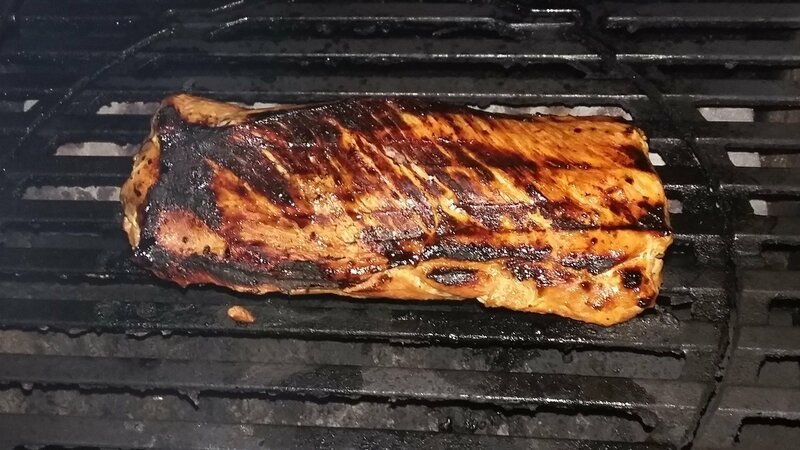 When I open the lid I see the small flare ups the fat cap has caused but when I turn the loin over there is just a little char, which not only makes it look beautiful, it looks just the right amount. So I flip it close the lid and set another timer for another 10 minutes. When the time comes we check the temperature of our pork lion with our instant read thermometer and it is at 142 degrees. Perfect, whoever wrote the instructions for this was spot on. The bottom has a little more char then the top did bit it is not over powering. We pull the loin off the grill, plate it and tent it with tinfoil for 10 minutes. This should get the temp. to rise to the 145 we are looking for while letting the juices settle. When the 10 minutes is up we see a lot of the juices are now sitting on the plate and that is always disappointing. Then when we cut it in half we notice that it is tough. That could be due to the hot and fast cooking method or a side effect of the rub sitting on it in its package. Either way it is does not seem to be too tough to eat. I slice a piece out of the middle and give it the old taste test. As mentioned it is tough but just a little chewy tough, not to bad at all. It doesn’t seem dry but it is not juicy either. It really does tastes like something that just came out of my smoker. I am very impressed with the flavor of this product. I have worked for hours to get a similar taste out of my smoker and this just took a few minutes with no prep at all. When eating the rest of it we add barbecue sauce to it and it is excellent. Left overs also reheat well with some BBQ sauce on top. 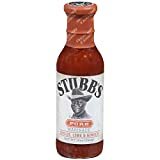 I would be happy purchase this product again or try one of the other flavors. I would try a slower indirect heat cooking method though, to try to get it a little more tender. But the overall flavor really makes this pre-seasoned loin worthwhile. 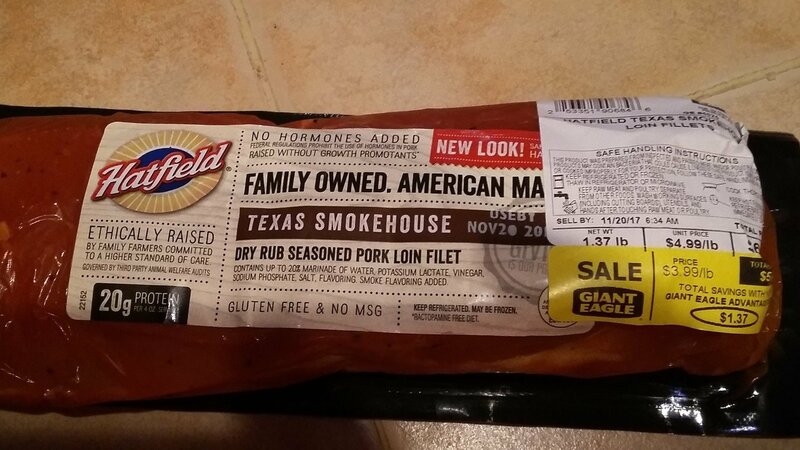 It is important to note that we are not compensated or endorsed for this Hatfield Texas smokehouse pork loin review by anyone. Also the product was purchased by us at full price though on sale at the time. 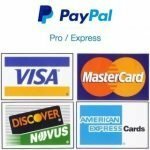 This article contains links to 4thegrill’s products and/or revenue generating sponsored links and ads from Amazon and/or Google adsense. 4theGrill is not responsible for the content of the off site links we provide.